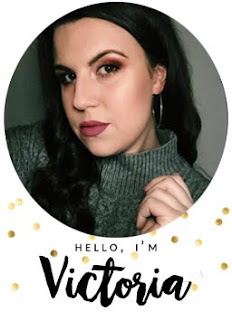 I hope you're enjoying the first day of your Easter bank holiday weekend, today seemed like the best time to talk about the Easter range available at Lush at the moment and hopefully you'll be swooning over these products just like i was. Lush are fantastic for seasonal events, each year their design team pull it out of the bag and bring us some wonderful creations and this year was no exception. 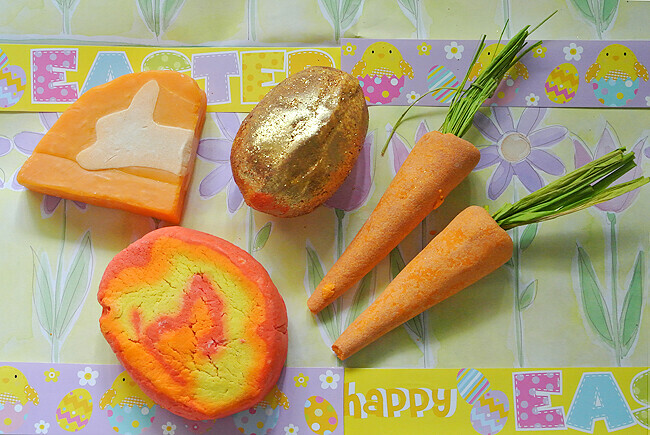 Say hello to Easter 2014 from Lush! 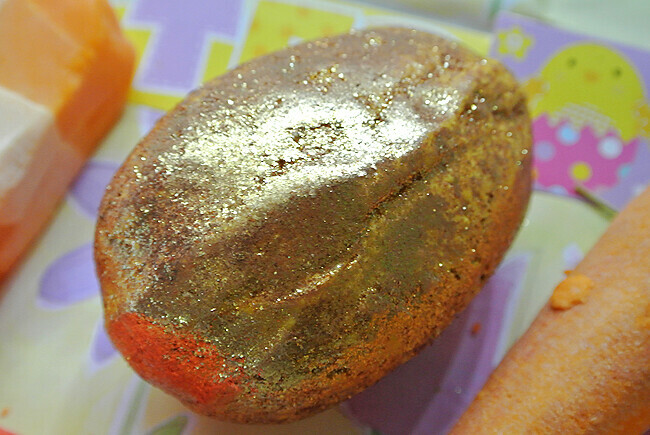 The Golden Egg bathbomb is brand new to Lush and it's my personal fave from the collection, sharing the same scent as Honey I Washed The Kids, this little gem combines the luxury feel of moisturizing cocoa butter exterior with a fizzy bomb center to create a one of a kind sparkly bath bomb! 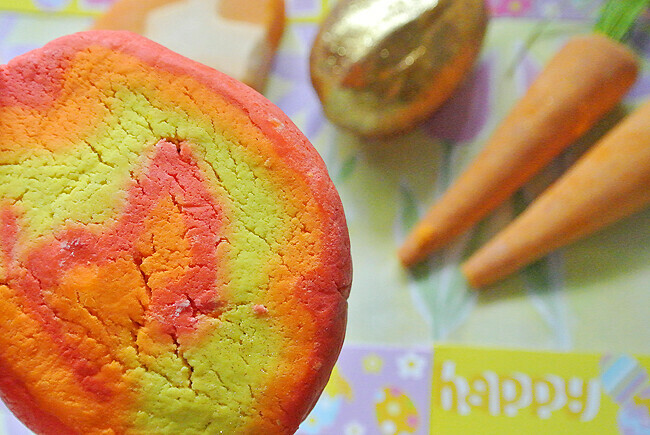 Up next is the incredibly cute Carrot bubble bars (you get 3!) these lemon scented bars create a really refreshing frothy bath experience. I'd say each carrot will give you 2/3 baths, but i would suggest holding them for a while under the tap to create the most bubbles! The Brightside bar is very similar to The Comforter and is another product where a little goes a long way (these bars last for ages!) it's made up of lots of oils, so this one is perfect for those who have dry skin. The citrus scent is the perfect wake up call too and the best way to brighten your day! 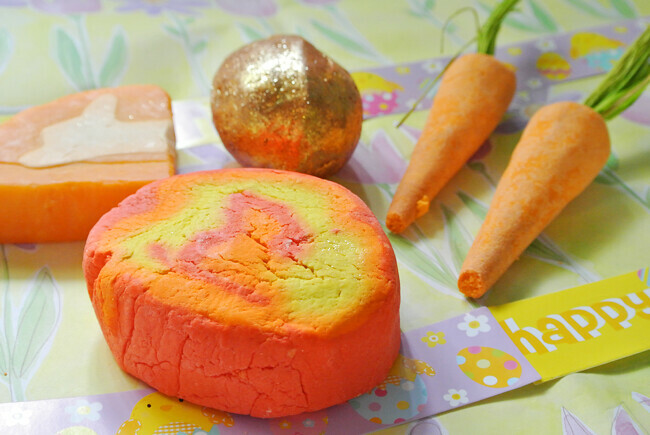 Finally we have the carrot/bunny soap. I'm not usually a massive fan of soaps, but this one is really nice. It's quite sweet, but without being over powering and provides lots of orange bubbles, I've found myself still being able to smell the scent hours afterwards too which is always a bonus! Overall i think Lush have excelled themselves once more and i'm excited to see what they bring out next! This is just a small part of the Easter range. To see more please click here. these are so adorable, i must go and pick some up. How perfect for easter. 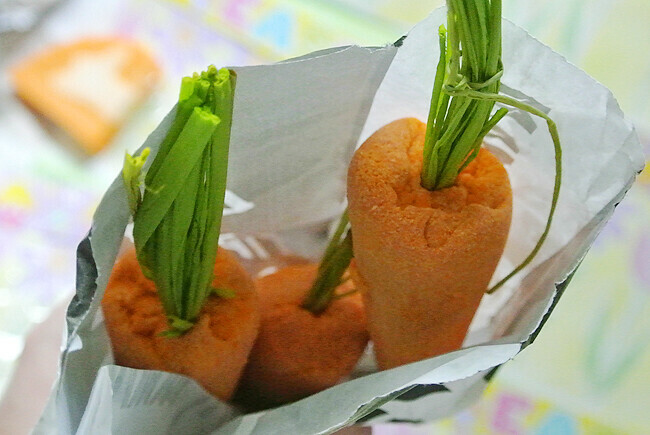 Hehe, the carrots are tooo C.U.T.E! !